Winter is coming, is your truck ready? While you are probably already considering adding weight to the bed and putting tires with better traction on, there are a few truck accessories you may want to add. To get the most use out of your truck, consider these important truck accessories. There’s no denying that winter weather is messy. Salt, ice, snow and slush do not belong on the floor of your truck, but you are going to be bringing them in on your boots every time you get in and out of the truck. Avoid problems by adding floor mats to your truck that you can easily remove and clean, as needed. You may even want to go with a cheaper, but durable, floor mat in the winter, and simply toss it at the end of the season. Protecting the actual floor in your truck is crucial as you track in winter grime. Do you use your truck for work? Then consider mountain a snow plow on the front so you can get wherever you need to go, regardless of how well the roads have been plowed. 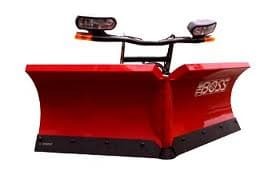 A snow plow attachment is an essential piece for the truck that works off-road in areas with heavy snow fall, but it can also be a nice addition for the truck that rarely goes off road. When you have your own snow plow mounted on your truck, you will not be limited by the municipal snow plow team when heavy snows hit your area. Whether you live where it snows or not, your winter weather is going to get colder. Rather than having to trudge out in the cold to start your truck and get the juices flowing, invest in a remote start system. This will allow you to run to your truck from your warm home or office and have it already warm and ready. If you do have snow and ice, this can also help remove some of the buildup from the windshield by encouraging it to melt. If you were to be stranded in your truck this winter, would you be prepared? Stash an emergency kit in your truck to ensure that you will have what you need if an unexpected problem happens. The emergency kit can contain some water and snacks, a Mylar blanket. Flashlights, first aid supplies and emergency contact numbers. Consider adding a battery powered weather alert radio and some flares. As you prepare for the possibility of being stranded, don’t forget to take care of your snow removal needs. You will want a snow broom and ice scraper so you can dig out if your truck becomes buried in snow. 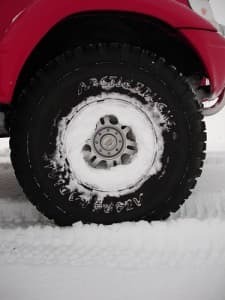 Even if you are not stranded, these are excellent times to keep in your truck in the winter so you can always remove snow and get on your way when you need to. You have a truck because of its power, right? Capitalize on that power with tow straps this winter. Tow straps allow you to be the hero and rescue a small car that is stranded. Be sure never to go against your truck’s recommended towing capacity, but you can help out in the winter with this helpful accessory. You can’t ignore winter. Whether you love it or hate it, it’s coming. Make the most out of winter weather with the right accessories. With these additions, your truck can be useful and beneficial, even when the temperatures drop.